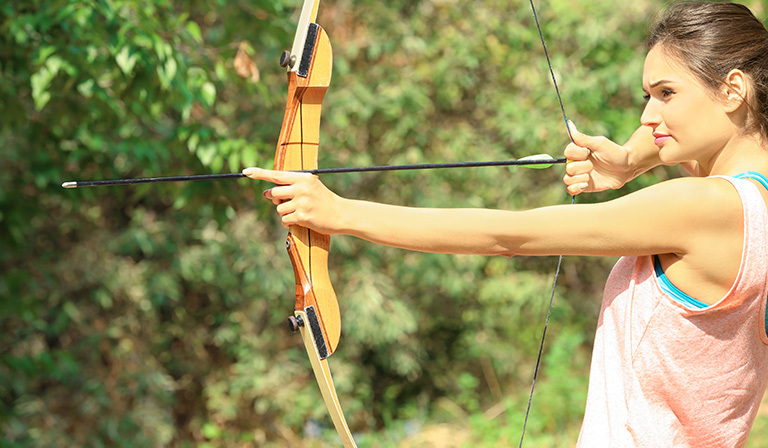 Archery has long been a practice in medieval societies and it still remains a popular outdoor sporting activity. In former times it was a valuable skill in warfare but today those who take part in it do so just for sport. There are modern archery concepts in use today, and for those who want to gain mastery in the art of archery, understanding the concept will make the practice of archery easy to master. 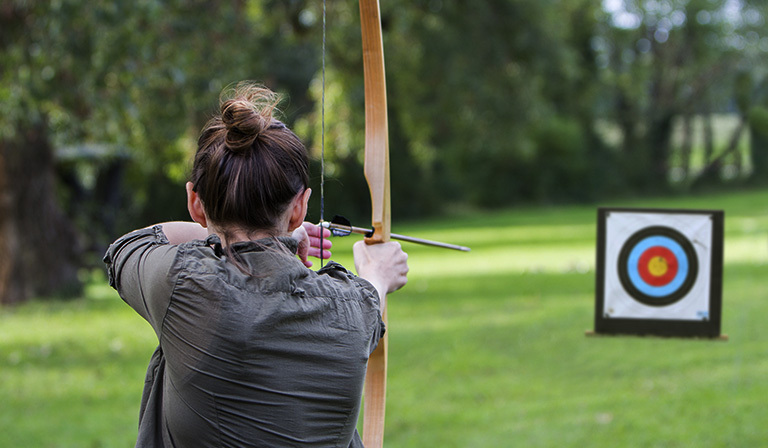 Nowadays, archery for beginners can be learned at a local archery range and for those who are adventurous, practicing in the wild with a bow is another option. Practicing on live targets is a quick and easy way to master the art but you’ll need a hunting license to do so. If you are interested in taking up archery practice here are some things to consider before getting into this age-long practice of shooting arrows. Hunting for Recreation: Some people like to hunt for sport. Acquiring this skill will serve them in the wild when tracking wild beasts. Hunting for Exotic Game: Some others derive pleasure in hunting specific animals. Sports: Archery is a famous sport and thousands of sportsmen and women compete in archery championships all over the world. Trick Archery: In the world of simulation 3D gaming, this skill is very helpful especially when competing with other gamers. For Bragging Right: Competition is a natural part of our daily lives. No matter how mundane a sport or activity may be, no one likes to lose in a competition. Acquiring archery skills in a bid to prove to others just how much of an archer they can be is more than enough to convince some people to engage in the sport. 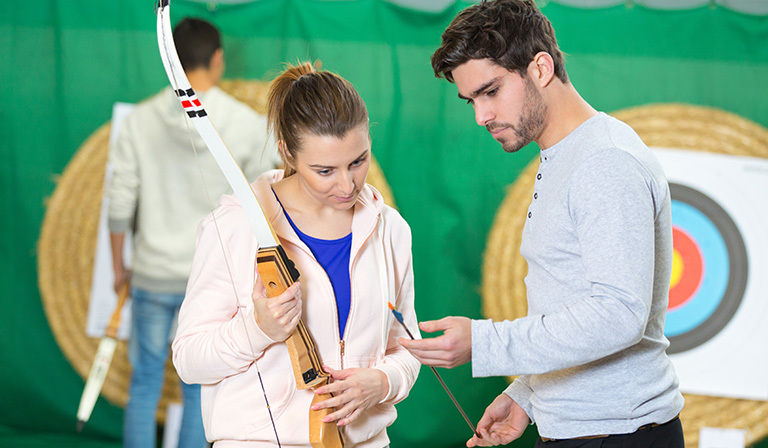 Before enrolling for an archery course or applying for membership at an archery range it is important to know a little bit about what you are getting into and the possible outcome. Having a little idea about archery for beginners is a good way to start. Archery Bows are of different types and ranges all suitable for different ranges. Long Bow: Longbows have been used for centuries which have simplistic D shape appearance. They do not possess arrow rests and are quite difficult to master. Recurve Bow: Widely used in the Olympic games, Recurve Bows have tips which curve outwards. Takedown Bow: Also called a Working Bow, it is made of a riser and two limbs which can be re-configured to a different shape. Compound Bow: Have innovative Pulleys and Cables with modernized features which make shooting easy. Reflex Bows: It has curved arms which turn outward and when unstrung it looks like a recurve bow. Yumi Bow: A Yumi Bow is a traditional Japanese Bow made out of Bamboo with two faces. There are many other types of Bows with different shape variations and materials but these types mentioned above are the most popular types used. Fun fact: Contrary to popular opinion, the art of shooting a crossbow is called arbalism, not archery like many people have come to believe. Learning about the different types of arrows and their uses is a good idea however for a beginner, a standard bullet tip, field tip or a broadhead arrow is all the beginner should use for a start. Draw Weight: This is simply the peak distance an archer will pull while engaging his Bow. Draw Length: This influences the size and length of the bow, especially in compound bows. Archer’s Paradox: The Archer’s Paradox is a physics term in archery which states that to shoot a given target, you must aim the arrow away from it because arrows don’t naturally fly straight. Anchor/Pivot Points: An anchor point describes the placement of the drawing hand while the Pivot point describes the bow grip. Learn about the weight of arrows in grains and how its combination with draw weights can affect the projectile velocity. Above all, you need to learn more about your gears and how they work before going all out to gain mastery. Picking up the art based on hearsay or the opinion of an amateur isn’t advisable. Consider your draw weight: Draw weights influence how far and fast your arrow will fly and how hard you will have to exert your muscles to shoot an arrow. Picking a high draw weight will make it almost impossible to shoot or make you fatigued in no time during shooting practice. A high Draw weight affects how long you can hold on to your Bow so you need to pick a weight that suits your frame. Compound Bows are useful archery for beginners tool. They aid the adjustments of draw weights when you fully draw the bow by relieving your muscles of undue pressure. As good as they are many people don’t use them because they are often very expensive. If you prefer a Recurve Bow, choose one with a draw weight that is suitable for you. The draw weight of a Recurve Bow cannot be adjusted so picking the right weight is very important. 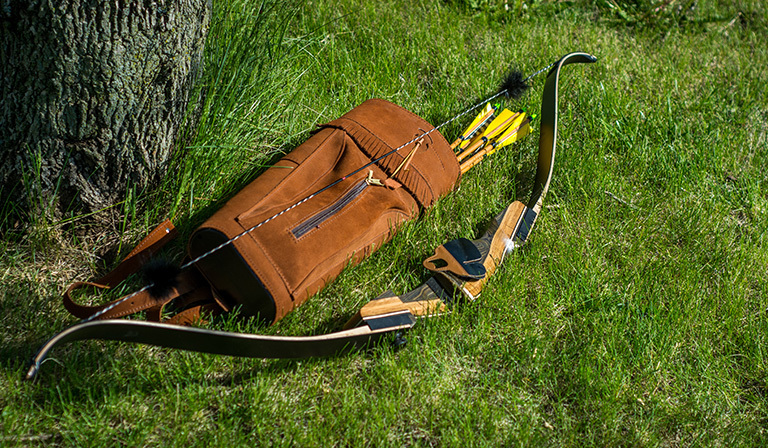 Takedown Bows have limited adjustable ranges which is a good option instead of going for a Recurve Bow. Although mastering the use of a Takedown Bow may prove difficult in the beginning, it will give you a better understanding of how to shoot using your using your muscle memory. Longbows deliver less projectile velocity for a given draw weight unlike that of a Recurve Bow. Besides this marked difference, Longbows are similar to Recurve Bow in every other area. Once you have your Bow, focusing on your gears will provide safety and help you gain mastery of archery quickly. Armguards: Are must for beginners who are new to the art as it protects them from chafing their arms when shooting. Finger tabs: Important tools for both experts and beginners, Finger tabs protect the fingers. Chest Guards: Are also important but not a recommended tool. Bow Stringers: Can be interchanged with a finger tab. Some compound bows are pre-equipped with bow releases called D-Loops. Under no circumstances should a beginner or an amateur ever use a bow and arrow without the supervision of an expert. This is to avoid causing injury to people close by which can prove fatal. Bow and arrow set for beginners are better archery tools to train with. Under no circumstances should you dry-fire your bow. By dry-firing we mean pulling your bowstring without an arrow. An arrow must never be aimed at a living person even if it’s just for laughs. Accidental discharges are common and could have fatal consequences. As part of your training, you must learn to string your bow on your own. Bowstringing videos can be found online but seeking help from a professional is better. 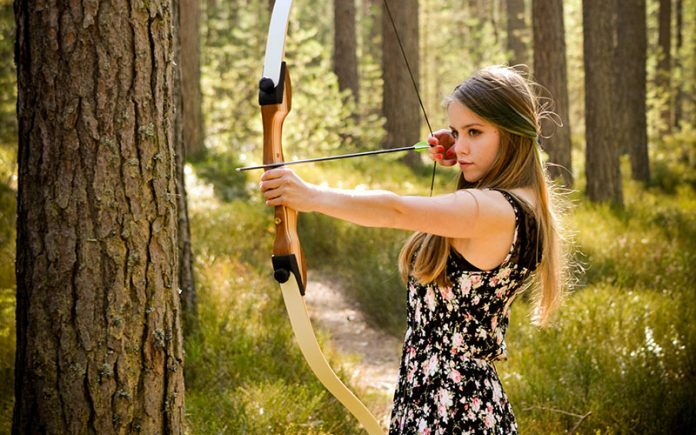 Usually, archery ranges have professional archers who will guide you in this regard but if you enroll for a course in archery, Bowstringing is the very first thing beginners are made to learn before any other thing. Some ranges offer both so you need not worry about learning this skill. Before shooting, ensure that you wear adequate protective gears. Practicing to become a professional arbalist can be a rewarding and fulfilling exercise. It improves your muscle mass and your level of concentration. 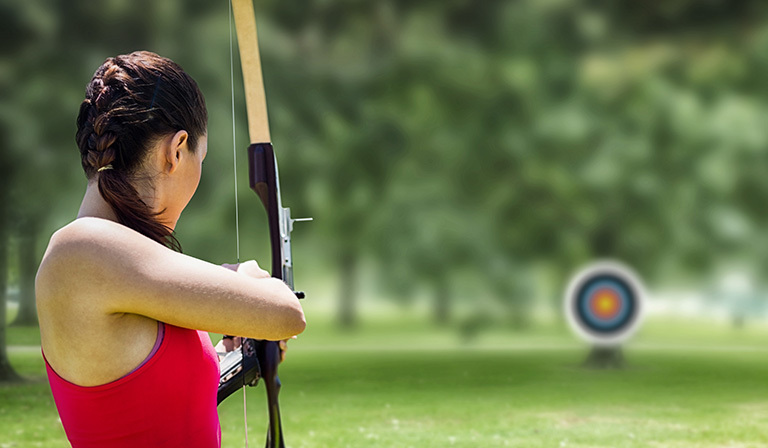 Unlike other sporting exercises which take a long period of time to master, the mastery of archery can take a beginner just a few days with the right level of concentration and professional application. 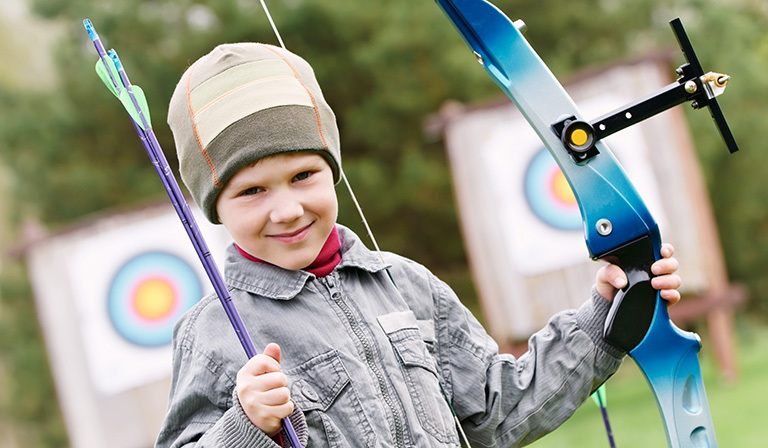 An archery set for beginners is packaged with a starter bow and arrow and other Bow accessories. 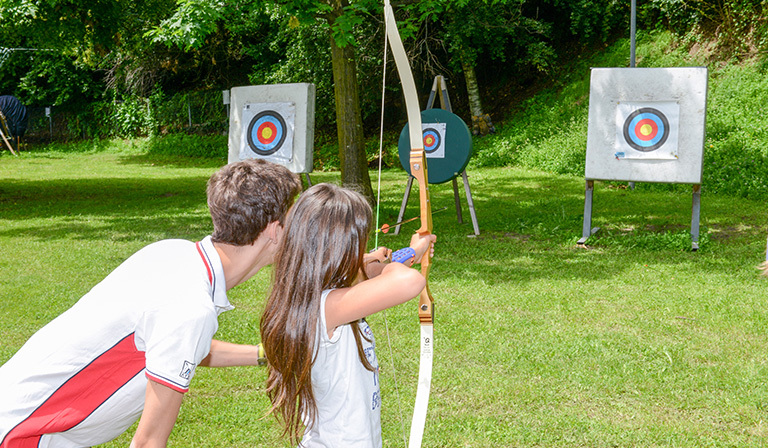 Enrolling in an archery course or gaining membership at an archery range is a good way to learn the skill of archery. Professionals will guide you and help you improve your skill and also teach you about the essential mechanics regarding the art. Finally, ensure you adhere strictly to the safety precautions highlighted in this article. You should never aim an arrow at a living person for fun as this could have grave consequences. Also, endeavor to wear protective gears before attempting to shoot an arrow in an archery range.